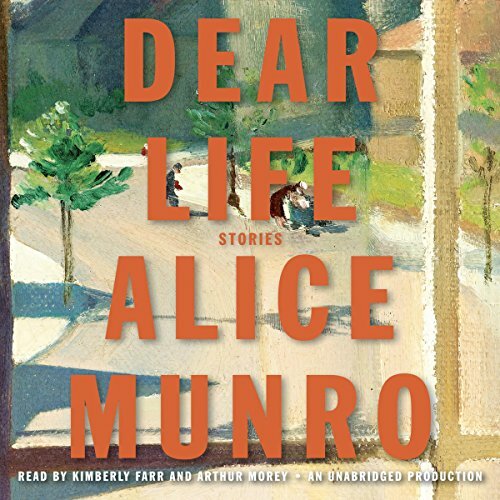 Nobel Prize winner Alice Munro’s peerless ability to give us the essence of a life in often brief but always spacious and timeless stories is once again everywhere apparent in this brilliant new collection. In story after story, she illumines the moment a life is forever altered by a chance encounter or an action not taken, or by a simple twist of fate that turns a person out of his or her accustomed path and into a new way of being or thinking. A poet, finding herself in alien territory at her first literary party, is rescued by a seasoned newspaper columnist, and is soon hurtling across the continent, young child in tow, toward a hoped-for but completely unplanned meeting. A young soldier, returning to his fiancée from the Second World War, steps off the train before his stop and onto the farm of another woman, beginning a life on the move. A wealthy young woman having an affair with the married lawyer hired by her father to handle his estate comes up with a surprising way to deal with the blackmailer who finds them out. While most of these stories take place in Munro’s home territory - the small Canadian towns around Lake Huron - the characters sometimes venture to the cities, and the audiobook ends with four pieces set in the area where she grew up, and in the time of her own childhood: stories “autobiographical in feeling, though not, sometimes, entirely so in fact.” A girl who can’t sleep imagines night after wakeful night that she kills her beloved younger sister. A mother snatches up her child and runs for dear life when a crazy woman comes into her yard. Hard to put a finger on why her short stories are so engrossing. But I was captivated the entire time. The characters, the real inclinations they have and the observations each bar narrator makes are all experiences we wouldn't be able to absorb anywhere but Munro's words. I have read or listened to most of Ms. Munro's work, and this is definitely not her best. The stories have little to go on, and in contrast to her previous work (Someting I've been meaning to tell you; Runaway) the characters are dull and uninteresting. The female narrator, Kimberly Fair, reads far too slowly and in an almost kindergarten-teacher kind of way, very annoying. The best are the first few stories, previously published in the New Yorker magazine, but even these are affected negatively by the narration. What made the experience of listening to Dear Life the most enjoyable? Characters were both unusual and familiar. What other book might you compare Dear Life to and why? Flannery O'Conner similar engagement with normal quirky people. "Life is strange". This is one of my favorite Audible books for both the stories and the narration. I do not understand the negative reviews. It was perfect for working on a task while listening. What would have made Dear Life better? Has Dear Life turned you off from other books in this genre? I don't think this has a genre. Did Kimberly Farr and Arthur Morey do a good job differentiating all the characters? How? Yes, but only because they were a make and a female. If you could play editor, what scene or scenes would you have cut from Dear Life? I can't count that high. I bought this book with great expectations. I consider myself to be an intellectual, and did expect the stories to be esoteric. What I didn't expect was that most of the stories had little plot and characters hard to relate to-such a disappointment. I was bored out of my mind by the fourth story. The narration was also very dull--it sounded like they weren't any more interested than I was. What a disappointment. Based on the reviews I was excited to start and listen to these stories. I was very disappointed. There is not one single passage or character that moved me or made me sit up and pay attention. I don't know who these stories do appeal to but they do not appeal to me. I did listen to the end but I don't know why. 7 sur 12 personne(s) ont trouvé cet avis utile. What disappointed you about Dear Life? Everything. It was very hard to listen to........very, very depressing. What was most disappointing about Alice Munro’s story? She did not.........she was great. Please don't spend the time or money. Even if the author got one of the greatest literary awards...........it is just not a good collection of stories. Many of the stories had little plot, but instead pivoted on a small realization. I liked "Corrie" much better than the rest of the story because it had plot, excellent characterization, and a pivotal realization. However, there was something more - effective use of the Unreliable Narrator (she adopts Howard's POV early on to give the reader information stated as fact, then later adopts Corrie's POV to state contradictory information as fact) to suggest a resolution that was never actually stated. Many reviewers conclude (as Corrie apparently did) that Howard had been pocketing the blackmail money that supposedly was going to Sadie. Let's assume that Sadie received that money and donated it to the church to pay for the new steeple, which Howard was then paid to design and build. Remember how the parishioners all thought that Sadie was "a rare person", and they all knew who Corrie was, even though she didn't know them? The deeper irony is that the new steeple was directly counter to the philosophy and wishes of Corrie's now-deceased father, who had hired the architect in the beginning of the story, which was how Howard the architect and Corrie met. Remember how Corrie's father despised modern church buildings, and hired Howard to build a traditional one? So, ultimately, the father's money paid for a steeple he would have despised. This is my first experience with Alice Munro, which I chose b/c I figured someone who won the Nobel Prize is probably worth looking into. This collection did not knock my socks off. I'm encouraged by some comments here that suggest that there are other collections that do. I was also not thrilled with either narrator. I didn't feel their performances enhanced the stories, simply conveyed them.